Great! Welcome aboard Fish for brains, and we appreciate your support. Great to have you as a fellow member. Welcome aboard. Membership paid. I am thrilled to have found such a great group of people. Allright! Welcome Juscuz! Thanks for joining our ranks, hope we can be of help. You already have been, I have met great people on here that are local to me. I have also bee reading all the information here and am planning a 75 gallon planted native tank. My 3 girls are home schooled and I plan to teach them all about natives and their habitat this summer, then we will bring selected fish and critters home to watch in the aquarium. I support the no release after being captive kept, and the ID it before you bring it home. I will also teach my kids this way. Nice! Actually both my boys are home schooled. Once you think about it, both the "no release" and the "ID before the house" seem pretty common sense. Thanks for understanding. Outstanding! I'm so happy to have found this site. It seems I've been searching Indigenous Salt Water Aquarium, Local Fish Tank and the like for years before I finally got here. I live at the Jersey shore and collect native fishes from the ocean and bay here. I have had my salt water tank for 2 years and seen many amazing things happen in there. My sea cucumber recently expelled it's guts and is now regenerating (thankfully it wasn't the poisonous kind). Do we have many members keeping native salt water tanks here? I've been looking for someone to share my experiences with. I plan to post many pictures I've taken over the years. Nice! Thanks guys for your support. I am sure that you will find that the people you meet here, and the friends you will make, will make those memberships pay ten fold. Minnowmizer speaking. I'm from Eastern Kentucky. I several years of fish aquarium experience and have recently discovered that North America has a lot of nice creek minnow choices. I have access to both the upper New River basin in NC and the headwaters of the Kentucky River basin. I just want to remind new NANFA members to update your profile and please send me a PM so I can update your status on the forum. Thanks so much to all of the new members for joining and if you have any questions or concerns...just give a yell. We're here to help. 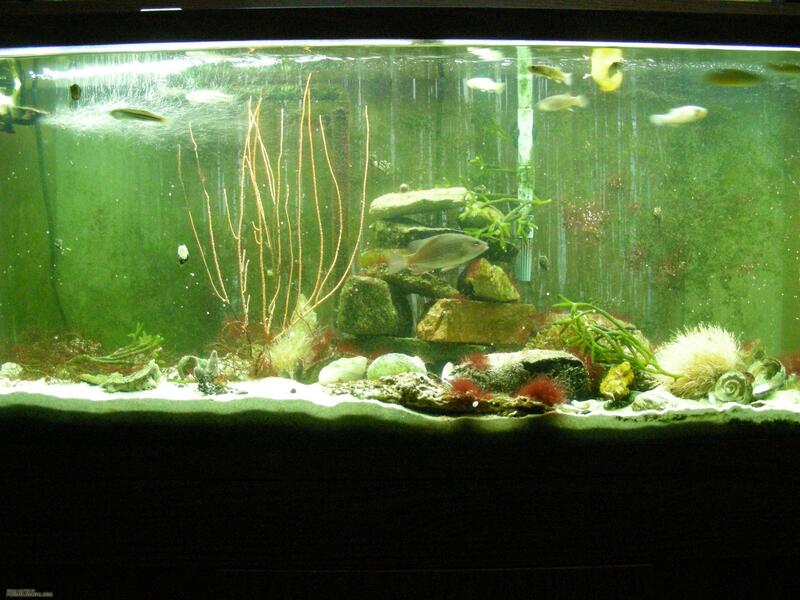 I found the organization through the forum while looking for info on a sunfish tank. After some reading I figured that I had gotten my money's worth, so I signed up. Got my first issue of AC and I'm quite pleased. Lots of good stuff in there. New NANFA members keep joining and I've been lacking in my thanks to all who have taken the plunge into the ranks of NANFA members. Thanks a bunch to all. I found the organization because some guy's article on keeping American Eels came up fairly high on Google when I caught one. The advice was good, the eel is still doing well, and eventually I decided to join. I have been planning to start with native saltwater at some point, so it's interesting to see someone else mention it, but I don't think I know enough about what I'm doing yet, and it will be a couple years before I have a stable enough residence to seriously consider it (doing time in the Navy for now). At the moment I'm still fairly new to the South, and I still find species in the local ditches that are new to me with some regularity. After 2 years lurking, decided it was time to be official. Oh, and the NANFA Xmas post helped me decide. Welcome, Jeff! We're glad you could join us! I recently sent in my application with fee enclosed to joint NANFA as a member is there a way i can find out if it was received ? Thanks for joining Tony! You can PM or email our membership coordinator Tom Watson (Onefish) through the forum. He can also be contacted off the forum via email. money well spent for the advice given here for free.